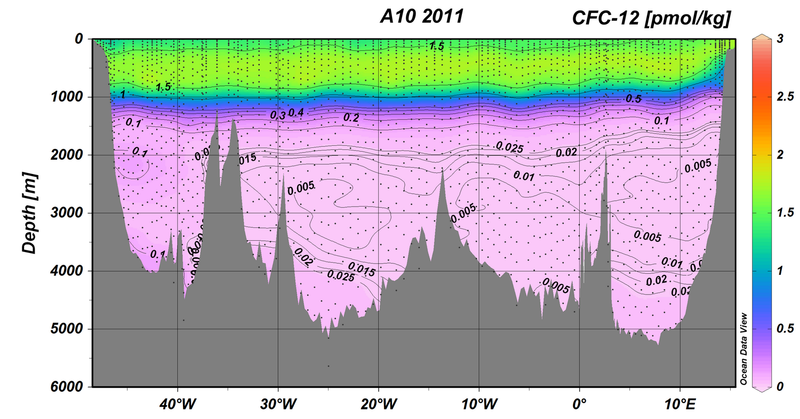 Chlorofluorocarbon Tracer CFC-12 measured along the CLIVAR A10 section line along 30°S from 50°W to 15°E in 2011, from the surface to a depth of 6000 meters Click the image to the right to see a map with the east-west section line. Click image above to see full graphic. 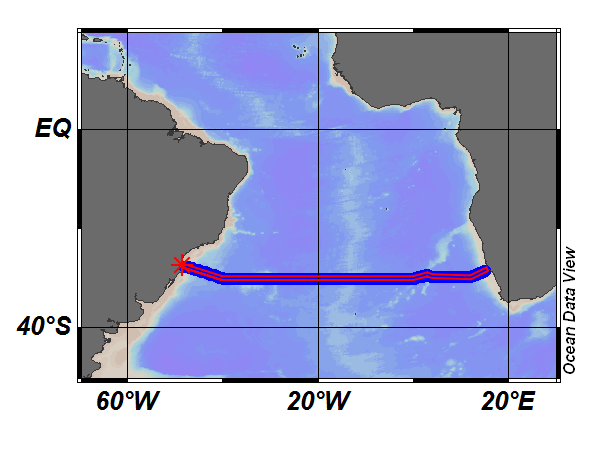 A10 section line showing locations of Chlorofluorocarbon Tracer CFC-12 measurements, from 50W to 15E, from the surface to a depth of 6000 meters during 2011.